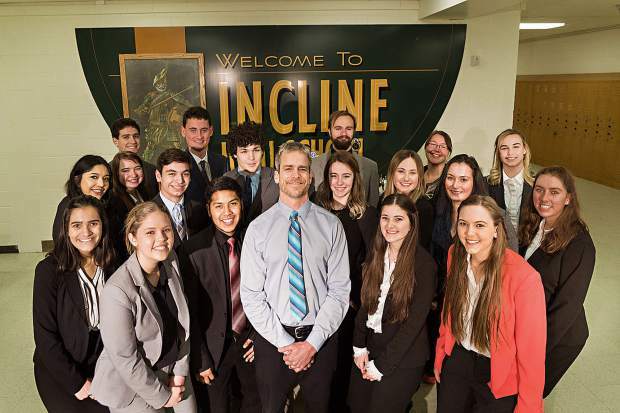 $60K sought to send Incline High class to national competition in D.C. The 2017 Incline High School class, with teacher Milt Hyams in the middle, poses for a photo at the school. Visit http://bit.ly/2ldJiRo to donate online. Note that when you open this link, scroll down and click on the “other” icon — not the Washington, D.C. icon. Once on the next page, click on the “We The People.” When filling in the gift card, use “Incline High School” as the Recipient Name AND the Traveler First Name — and use WTP (or We The People) as the Last Name. The Trip ID is 146139. More online: Visit civiced.org/programs/wtp to learn about the “We the People…the Citizen and the Constitution” program. INCLINE VILLAGE, Nev. — On Feb. 4, Incline High School finished second at the Nevada State “We the People…the Citizen and the Constitution” competition in Las Vegas and won a “Wild Card” spot at the national competition. It was a fierce competition with the point spread among the top three teams at only 33 points — one of the closest margins in state history. This team of 17 IHS seniors will now head to the National Finals in Washington D.C. this April, when more than 1,500 students from around the country will compete to demonstrate their knowledge of American Government and constitutionalism. During the competition in the nation’s capital, the students present to a panel of judges in simulated congressional hearings. Judges hail from government or from various academic or legal communities from around the country. The Incline students overcame substantial hardships this year, including seven canceled days of school due to the major winter storms in January and February, as well as missed team prep sessions (due to snow days) where they typically get to work with local volunteer “coaches” to perfect their presentations. Their performance at the state competition on Feb. 4 demonstrated great resiliency, teamwork and skill. 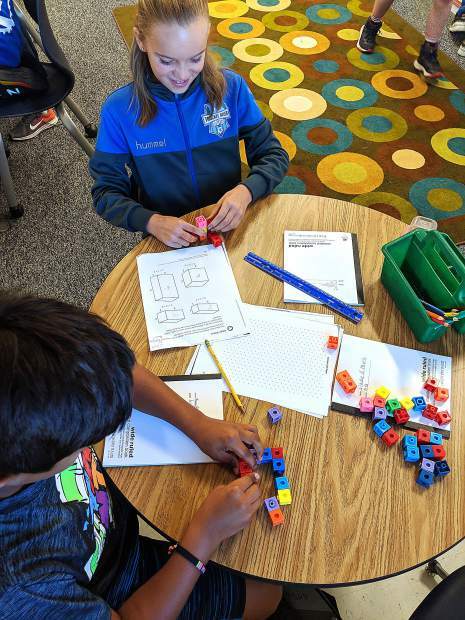 “Our students are committed to finishing among the Top 10 teams in the nation,” said Milton Hyams, the longtime We The People teacher at Incline High. Unfortunately, the Center for Civic Education and the Nevada Bar Association does not fund expenses for Wild Card teams, so — as has been the case in previous years when Incline’s WTP class has performed at the national competition — the team will only be able to attend if they can raise the necessary funds for them to do so. The cost per student exceeds $3,500, and the team needs financial support. Of note, one-fourth of these students will be the first in their family to earn a college degree. Any donation to help them achieve their goal of $60,000 would be appreciated. Your contribution achieves two goals. Not only does it help the students finance the trip, but more importantly, it demonstrates our community support of their effort to become more knowledgeable and involved citizens. If you can contribute, you can make your check payable to “Incline High School — We the People” and send/deliver it to 499 Village Blvd., Incline Village, NV 89451. Visit http://bit.ly/2m9QQnv to learn more about this year’s class on the http://www.inclineschools.org website.